Indianapolis was the host to the 2012 Superbowl which meant, Superbowl parties everywhere. It was an amazing place to be this last week and I think our city did us proud. Everywhere you turned there was something related to the big game. Here is a party we were asked to do for a retail store. 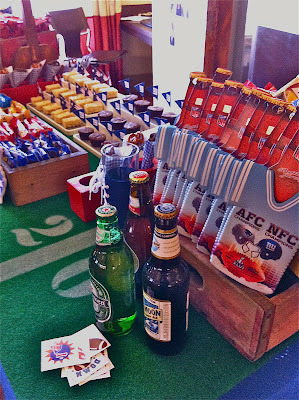 They wanted some quick grab and go snacks for their shoppers so we created this “Half Time-Snack Time” table. These are all iPhone photos so the quality isn’t that great. I think these mini foam fingers are so funny. They are foam fingers for your finger. I know, they are probably geared towards a 5 year old, but I still think they are great. 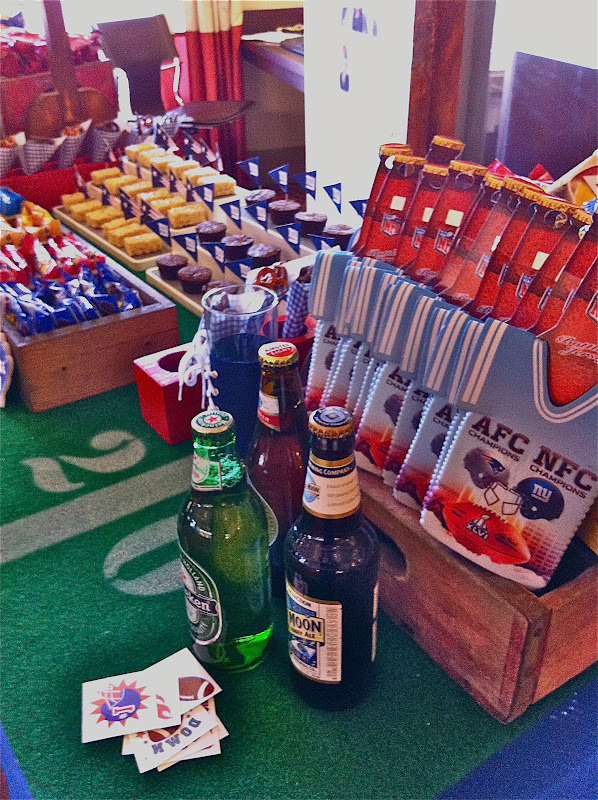 This entry was posted in Football, sports NFL, super bowl, Tailgate on February 9, 2012 by Setting the Mood.